The United Nations has urged forces fighting in Libya to undertake a two hour truce to evacuate civilians as US troops left the Libyan capital on Sunday. The Libyan National Army says it has advanced into the outskirts of Tripoli as it continues its thrust against the internationally recognised government. 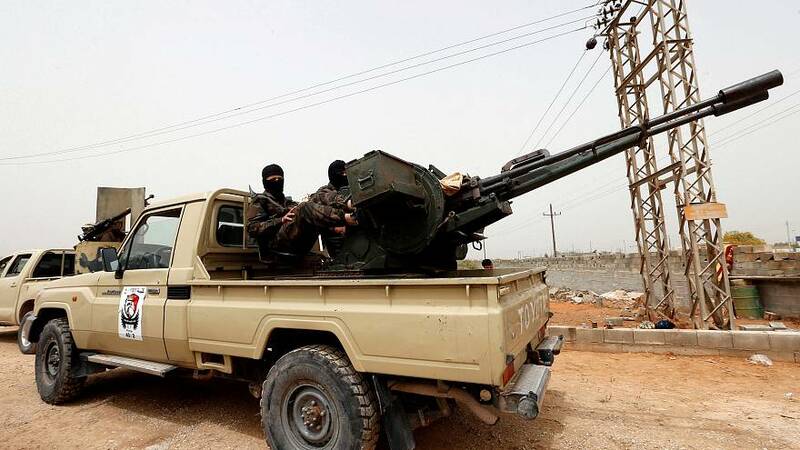 Fighting over the weekend is reported to have resulted in seven deaths and 55 being wounded in clashes near Tripoli's former international airport, which the LNA claims now to control, and suburbs south of the city. The secretary general of the United Nations held talks with offensive leader Khalifa Haftar on Friday, but left the country without achieving a breakthrough. "I'm leaving Libya with deep concern and with a heavy heart,” said Antionio Guterres. “I still hope that it would be possible to avoid bloody confrontation in and around Tripoli and the United Nation will remain available to facilitate any political solution able to unify the Libyan institutions." The Prime Minister of Libya Fayez al-Serra was filmed preparing the defence of the city. The LNA controls the East of Libya, running a parallel administration to that of the Tripoli government. Read more: Libya, a country divided: From Gaddafi to Haftar, how did they get here? Calling for immediate de-escalation, the governments of the US, UAE, France, Italy and UK issued a statement expressing their deep concern about the possibility of conflict. As Haftar's forces advanced on Friday, G7 foreign ministers said that they were strongly opposed to military action in Libya and implicitly warned the easter Libyan commander against continuing his advance on the capital. "We firmly believe that there is no military solution to the Libyan conflict," the foreign ministers from France, Britain, Germany, United States, Italy, Japan and Canada said in a statement. Khalifa Haftar must listen to warnings from the international community and halt his advance on Tripoli, Italy's foreign minister said on Saturday, on the second day of G7 talks in France. "We have stated quite clearly what our position is," Enzo Milanesi said. "We very much hope that he will take it into consideration. If this does not happen, we will see what can be done." Rumbles in Libya: From Gaddafi to Haftar, how did they get here?